USB 3.0 x 2 for Fast Data Transfer. A fabulous fast laptop - Features USB 2.0 x 2. A really good quality laptop. and fast! Upgraded to Windows 10 Pro. DVD / CD RW / Drive. Stone 15.6" Laptop Pentium B960 2.2GHz 4GB Ram 320 HD Windows 10. Connections HDMI Port. Condition The laptop shows signs of use, the lid has quite a few 'burns' in it small round burn marks. This does not affect the functionality of the item. Glossy Stone W210CU 10.1" Intel Atom 2GB RAM 160GB HDD Webcam WIFI Win7 HDMI..
Stone W210CU. Webcam YES. VLC Player- Good For Watching Movies. Hard Drive 160 GB. The warranty does not cover battery life. CHEAP 17" TFT Monitor - Assorted Makes- Acer Dell HP Hanns G (FREE CABLES). STONE MR055 LAPTOP. A 120GB Hard Drive is installed. 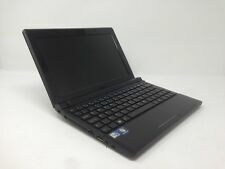 Here is a very capable and sturdy looking Stone Laptop in excellent condition. LOADED WITH WINDOWS 7 AND OFFICE SOFTWARE. I used my own Wireless Keyboard to set this PC up and install all the software. MODEL NUMBER NT310. Wow, what a deal! Get this Stone computer with a super fast i3 3120M processor, 500GB Hard Drive and 15.6" screen. CPU TYPE i3 3120M. OS Windows 10, Professional, 64-bit. MANUFACTURER Stone. The classy look of the Aspire 1 is matched only by the convenience of its thin, easily portable design. The Precision Touchpad is more responsive than traditional touchpads helping you work more effectively. New listingNETBOOK LAPTOP APPLE MAC TABLET SKIN WINDS OF PLAGUE GREAT STONE WAR 8.4 x 5.5"
WINDS OF PLAGUE - GREAT STONE WAR. NETBOOK / LAPTOP / APPLE MAC / TABLET SKIN. SKIN FOR ANY OF THE ABOVE DEVICES. Solid State Drive: 120GB SATA. RAM: 4GB DDR3 RAM. Many of our orders arrive sooner than this but this will allow us to ensure your machine is working properly. Hard Drive: NA. Optical Drive: DVD/RW. Cheap Stone B-1103 tablet netbook with webcam. WEBCAM: Yes. INTEGRATED: Sound, LAN, VGA out port, 2 USB ports, HDMI port. SOFTWARE INSTALLED: Windows 7 Starter 32-bit, Open Office 4.0.1. (Software cd not included ). Stone W76T Laptop HARD DRIVE: none no caddy included RAM: None Screen appears to be visually okay DVD ROM WRITER KEYBOARD: One key missing BATTERY: included unabl to verify if working JUST THE LAPTOP ITSELF NO MAINS ADAPTER, SOFTWARE OR DOCUMENTATION Does not repond to power Cosmetically in good condition. SOLD FOR SPARES OR REPAIRS AND STRICTLY NO REFUNDS OR RETURNS. PLEASE NOTE NO EXTENSIVE TESTING HAS BEEN CARRIED OUT OTHER THAN OBSERVATION MADE DURING APPLYING POWER SO PLEASE KNOW WHAT YOU ARE BIDDING FOR. This laptop/tablet is very easy to use. Processor Type: Celeron. Form Factor: Notebook. Color: Blue. Less glare results in less strain on the eyes, even after long hours of use. Built-in web cam supports High Dynamic Range imaging which enables more clear photos and brighter Google Hangouts video. 1 x Aspire A114-31-C3FW Notebook. We take our reputation seriously. CHEAP FAST STONE N120 11.6" INTEL CELERON 2GB RAM 160GB HDD WEBCAM HDMI WIN 7..
Stone N120 W310CZ. Webcam YES. VLC Player- Good For Watching Movies. Hard Drive 160 GB. The warranty does not cover battery life. CHEAP 17" TFT Monitor - Assorted Makes- Acer Dell HP Hanns G (FREE CABLES). Acer Aspire A114-31-C3FW 14-Inch Notebook - (Stone Blue) (Intel Celeron N33... .
Hard Drive 320GB HDD. Ram 4GB RAM. Product Details. ALL IN ONE PC. In the case of any software related problems we will do our best to help you but will not be responsible for repairing the machine. This laptop is being sold as spares or repair. Hard Drive Cover Hard Drives if included have been securely data wiped and are blank - they will also have been 100% verified for bad sectors. Bios Password. Hard Drive 250GB HDD. Ram 2GB RAM. Power Cable 3-Pin Computer Power Lead. ALL IN ONE PC. In the case of any software related problems we will do our best to help you but will not be responsible for repairing the machine. Tested working - No OS. Laptop does not have an OS installed. Includes Hard Drive Cover / Caddy Cover – Yes / Caddy –Yes 160GB HDD Fitted. Top Casing Condition The above item is being sold as “Spares or Repair”, so “NO” Warranty will be applied to the product. 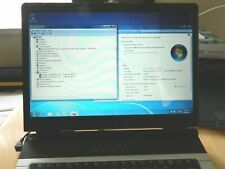 Stone NT310-H Laptop In good working order cleaned and tested. Windows 10 (Clean install). In reality this is likely to be within 24 hours dependant on how busy we are. You may collect. Stone NT310-H 15.6" Laptop. Laptop Components. Variation in these will invalidate warranty. Extended warranties available. Stone Computers T5110. ComputeUK - Suppliers of new and used Computer and IT related products. Hard Drive. Optical Drive. No (Requires 19 Volt 3.42 Amp or 18.5 Volt 3.50 Amp Power Adapter). 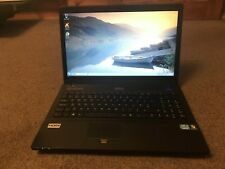 Stone NT310-H 15.6" Laptop. In reality this is likely to be within 24 hours dependant on how busy we are. Otherwise fully refurbished and ready to use. Variation in these will invalidate warranty. You may collect. Stone Computers T5110. ComputeUK - Suppliers of new and used Computer and IT related products. Hard Drive. Optical Drive. No (Requires 19 Volt 3.42 Amp or 18.5 Volt 3.50 Amp Power Adapter). 1 Laptop Has A Crack In The Plastic On The Top Of The Lid - Near The Right Hinge. STONE W76T LAPTOP NOTEBOOK WITH WINDOWS AND OFFICE. Also included are 2GB of Ram, an upgraded 160GB Hard Drive, a Webcam, DVD-RW Drive, SD Card Slot, 3 USB Ports, HDMI Port, ESATA Port, Wi-Fi fully tested, LAN Port, VGA Port. In reality this is likely to be within 24 hours dependant on how busy we are. You may collect. Stone NT310-H 15.6" Laptop. Laptop Components. Fully refurbished and ready to use. Variation in these will invalidate warranty. Hard Drive 160GB HDD. Ram 4GB RAM. Product Details. ALL IN ONE PC. In the case of any software related problems we will do our best to help you but will not be responsible for repairing the machine. Superfast 128GB SSD. Fresh install of Windows 10 Pro. Stone Stonebook Pro P10A. Very good battery and LCD is perfect, bright and clear. Stunning condition - see pictures for details! 2 x USB 3.0. Processor: Intel Core i3 6th Gen.
Stone W76TH. Hard Drive 160 GB. Open Office- Good For Word Processing, Spreadsheets, Presentations, Graphics, Databases and more. VLC Player- Good For Watching Movies. The warranty does not cover battery life. Just switch on and you are ready to go. Everything else works fine. Screen is good with no scratches. Hard Disk Technology: HDD. Processor Speed: 2.30GHz. Processor Count: 2. The laptop is in perfect working order and good condition. Hard Drive 320GB HDD. Ram 2GB RAM. Power Cable 3-Pin Computer Power Lead. ALL IN ONE PC. In the case of any software related problems we will do our best to help you but will not be responsible for repairing the machine. CHEAP Fast Stone NT310-H 15.6" Intel i3 4th Gen 8GB RAM 500GB HDD DVD RW Win10..
STONE MR052 LAPTOP WITH WINDOWS 7 AND OFFICE SOFTWARE. The required drivers have been installed and the software tested. 320GB Hard Disk Drive for Storage. Important - This machine will not directly boot to Windows via the Hard Drive. Stone NT310-H Pentium 3550M @ 2.36GHz 6GB RAM 500GB HD Windows 10. Processor Pentium 3550M 2.36GHz. Hard Drive 500 GB 2.5 Sata. (Hardware only, excluding consumables i.e. battery). If the warranty seals have been removed or tampered with then this does void any warranties. Stone Netbook Classmate NB109. 1.6Ghz Dual core Atom CPU. So many features in such a small netbook. Touchscreen with stylus pen. 3G capability ( 3G Sim slot under battery ). Intergrated Webcam. 320GB Hard Drive. There might be a few light scratches and markings at the back of the laptop (see picture) but nothing major. Webcam, 15.8" Screen. 1 x Ethernet Port. This is a used laptop. The laptop powers up as seen in the picture and the screen is clear with no marks. STONE W550EU. Fresh install of Windows 10 Pro. 2 X USB 2.0. Stone M1110. Optical Drive. ComputeUK - Suppliers of new and used Computer and IT related products. Battery Has Battery Life And Is Performing Normally. Light Marks/Scratches On The Plastic Casing, Otherwise In Excellent Condition. SSD - 120GB. Stone Computers. In these cases, we will dispatch your device as quickly as possible without compromising on quality. Stone Group/Encore are not responsible for any delays that occur once the item has left our warehouse. I.e. between 9.30AM-10.30AM. Key Features Resolution 800 by 600. 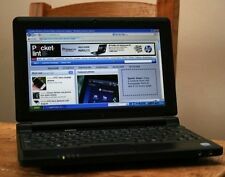 Stone Neo 101 Netbook System which is in a good condition. Very well built and specified laptop system. Stone Neo 101 Laptop. 1.60 GHz speed. Microsoft Windows 7 Ultimate. 80 GB Hard drive. Ethernet Port. Stone NT308. 320Gb Hard Drive. Open Office Suite. Wordprocessor, spreadsheet, database etc. lease do not hesitate to ask. 15.6" Glossy Screen. New installation of Windows 10 Professional 64 bit with all updates.